It’s Monday and I am back to work! Last week, I wore the IWC Pilot’s Watch Automatic 36 and it was quite an interesting journey. But first things first, a bit of history! According to IWC, the special relationship between IWC and flying started in 1936 with the first Special Pilot’s Watch that left the factory. 1940 was also a special year for IWC with the release of the 52-calibre T.S.C. Big Pilot’s Watch with a diameter of 55 millimeters. This « instrument » watch became rapidly a style icon and a model for all classic pilot’s watches. After years and years of Pilot’s watches production, it is in 2016 that IWC decided to refresh the Pilot’s Watch collection with new models. The new timepieces featured innovative designs, sometimes more closely to the historic original. One of the them is the Pilot’s Watch Automatic 36, now the smallest model in the company’s current line-up. It was designed for people who likes it a bit smaller and more discreet wristwatch but we also believe that this watch is clearly targeting a female audience, more likely to have delicate small wrists. Cycling home (music: « Tuesday » by Drake), looking at my watch. 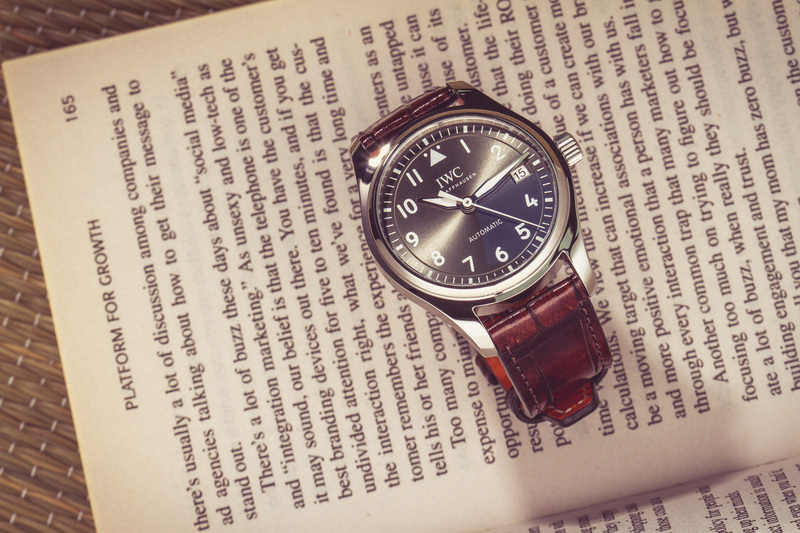 The dial is refined and simple, as any other IWC Pilot’s Watch. The three-hand watch also features a date display. The inner circle gives depth and a nice final touch to the watch. The slate-coloured dial with luminescence features a soft-iron inner case for increased protection against magnetic fields. Thanks to that, the watch is obviously « airworthy » but also water-resistant to 6 bar. As usual, the watch features a Sapphire glass, convex with antireflective coating on both sides. Fact sheet about the movement before the movie starts. Calibre that powered a few other Pilot’s Watches but also a considerable number of Portofinos. And what about the strap ? 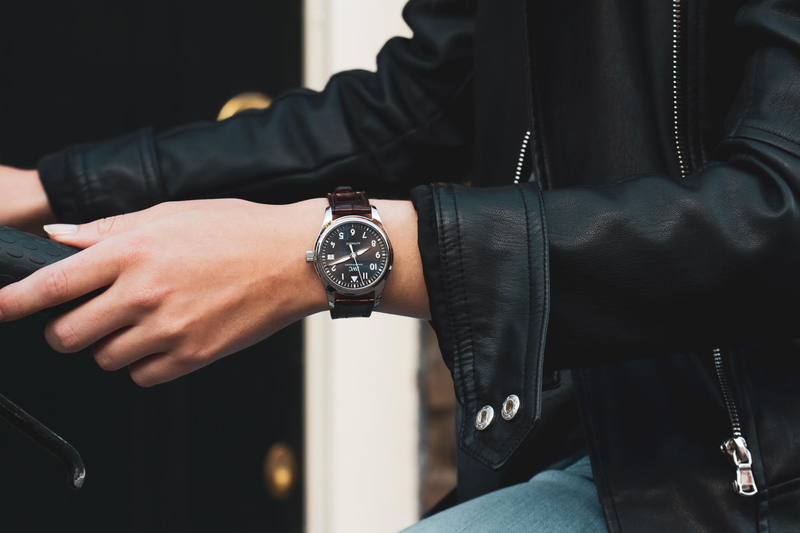 The watch features a dark brown alligator leather strap by Santoni. In 1975, Andrea Santoni founded his leather company with his wife near Macerata close to the Adriatic coast. His son Giuseppe, 42, is now the company’s Chairman and make sure to keep up with a traditional production process. The company works with different brands and has its own for leather shoes, « Santoni shoes ». The strap of the IWC Pilot’s Watch Automatic 36 is flexible and comfortable to wear. The dark brown color constrats with the grey dial and gives an elegant touch to the sporty IWC Pilot’s Watch. NB: The Strap width is 18mm. 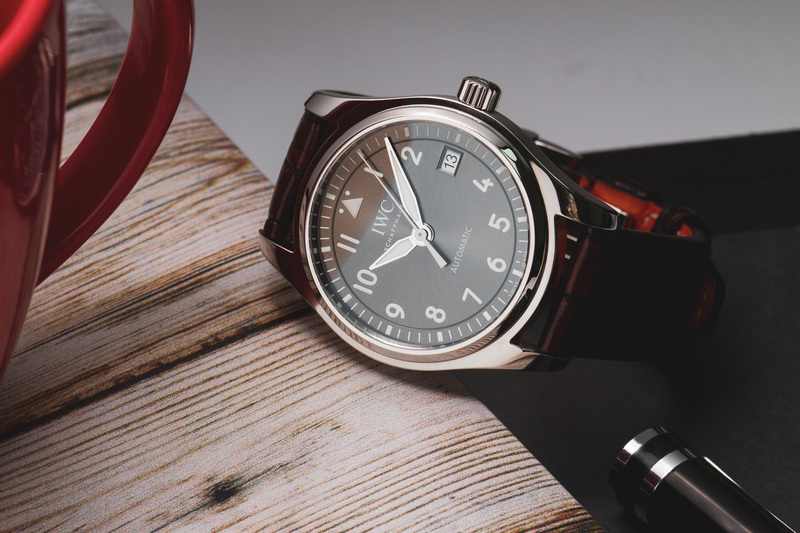 It is already Fri-yay, and it is time to give my thoughts on this IWC watch. Overall, I think that the watch is very comfortable to wear. The watch was also easy to match with most of my outfits during the whole week. Its simple and sporty design goes with almost everything. In terms of proportion, The dimension of the watch fits perfectly my (very) small wrist. The Pilot’s 36 comes in only 3 different models (see below), and I would have loved to see a white-dial version! you are looking for a simple, sporty and elegant watch. You don’t mind that your partner will maybe borrow your watch. 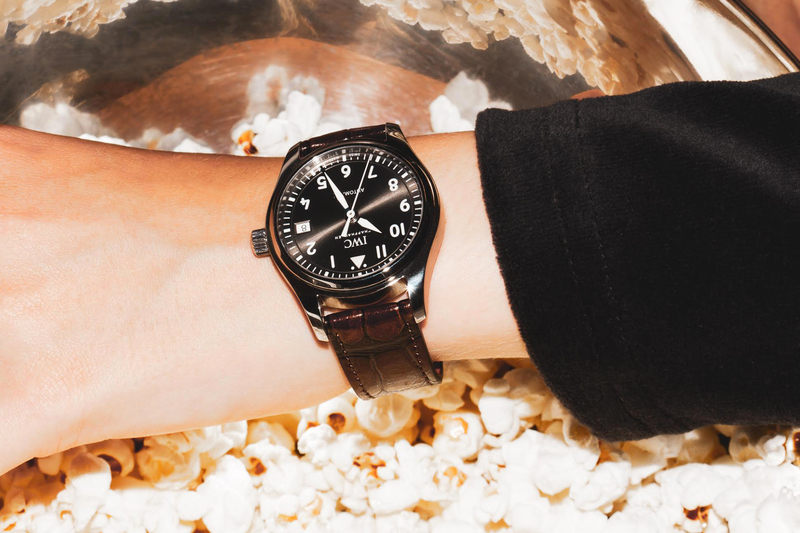 You are a fan of IWC Pilot’s watches but always thought that it was too big for your wrist. You are looking for a versatile watch. You are attracted to Pilots or anyone with a passion for flying/aviation, this may help to start a conversation. 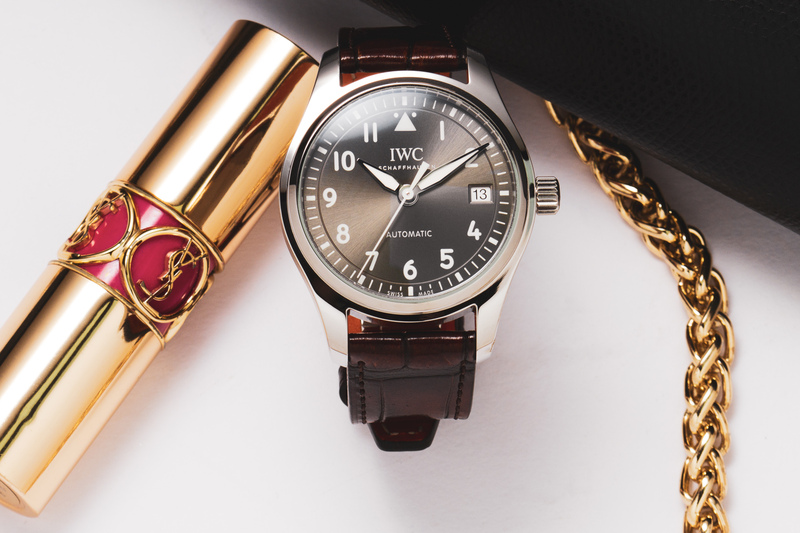 You have a "girly" taste and are looking for a classic watch for women. You are a big fan of diamonds and Mother of Pearl. You have a flying/airplanes phobia. You are looking for an oversized look.